Capitalism is facing a crisis of legitimacy. We’re given war, poverty, and environmental destruction to satisfy the profits of a tiny minority. The 1% get bailed out for bringing the economy to ruin, but fast food workers demanding enough to live on are called lazy. Protesters against racist police violence have naturally come to the conclusion that “The whole damn system is guilty”. It’s no wonder that support for socialism is on the rise. But, as even the hard-won reforms of previous generations are being reversed, the question naturally arises: how can we actually get to socialism? This is the question the Russian revolutionary Leon Trotsky tackled in his Transitional Program, written in 1938. Trotsky’s Transitional Program has been translated into languages around the world (see Irish Language edition above). These transitional demands are things that workers would find reasonable but go beyond what capitalism will allow. These include demands such as shortening the workweek to create full employment without cutting weekly pay and opening the books of companies that lay off workers and claim they have no choice. The forms of struggle themselves can also take on a transitional form. As workers’ confidence grows in the struggle against capitalism, strikes give way to sit-down strikes, to factory committees, to revolutionary change. Trotsky’s Transitional Program also addressed the organizations and individuals who lead the masses into struggle only to buckle under he pressure of the ruling elite and make decisive mistakes at a later stage. It wasn’t enough to denounce those leaders from the sidelines. 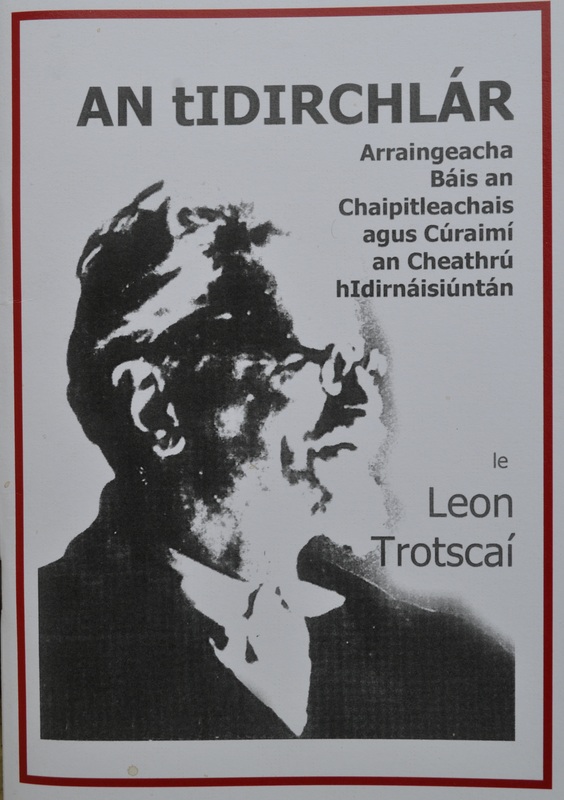 Trotsky placed positive demands on the leaders of unions and political parties with a working class base that would engage the masses and help them educate themselves. The transitional method allows us to go beyond what the capitalists deem “possible” without confining ourselves to empty revolutionary phraseology. Of course no single program can be applied universally to all situations. 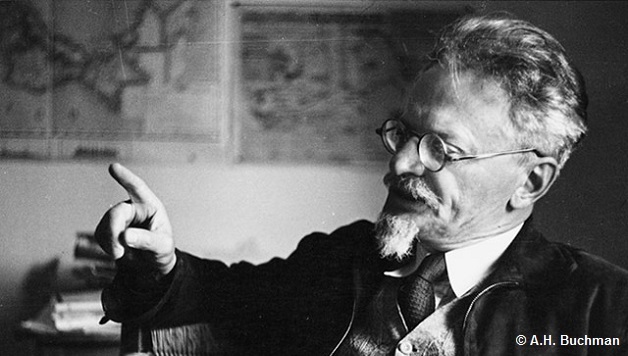 Trotsky was writing in the age of Hitler and Stalin, on the eve of the most destructive war in human history. Programs must be continually examined and updated to meet changes in consciousness and conditions facing working people. But even if the program’s individual details can’t all be applied directly to today’s struggles, the method behind the program retains immense value as a guide to action. As such, the Transitional Program is as relevant as ever.